As part of the JS porata yatra, Mr Kalyan interacted with weavers at Gotluru village in Dharmavaram mandal in the district. 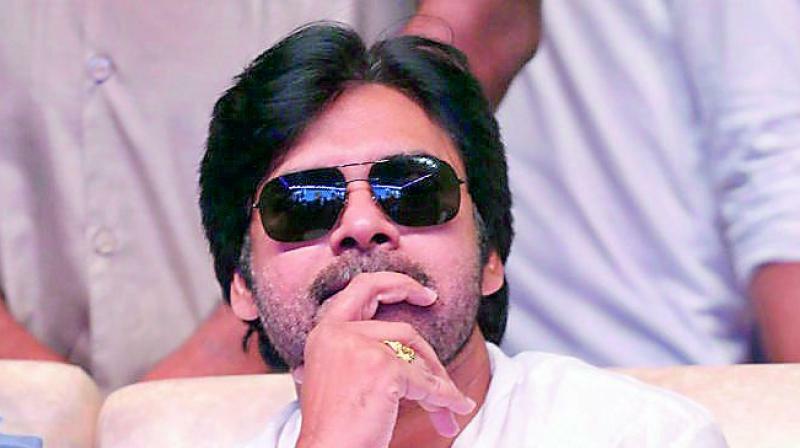 ANANTAPUR: Jana Sena (JS) chief Pawan Kalyan stressed the need for changes in the education system and said universities should be immune to political interferences. During an interaction with students of various sectors at a private function hall here on Wednesday, Mr Kalyan observed that the education system was polluted due to political interference. The JS chief also promised to constitute a separate wing on behalf of the party for the development of the handloom sector which was under a severe crisis. The committee would be formed from Dharmavaram, the icon for branded silk saris. Local JS leader, Mr C. Madhusudhana Reddy, has been entrusted with the responsibility of constituting the committee at Dharmavaram and the JS’ separate handloom wing would be spread to the entire state. As part of the JS porata yatra, Mr Kalyan interacted with weavers at Gotluru village in Dharmavaram mandal in the district. The members of the community explained their woes relating to GST. They lamented about their situation of having to resort to daily wage work, despite having looms of their own. “Apart from constituting a separate wing for the handloom sector, we will also finalise the rules and regulations acceptable to all, for the development of the weavers. For the youth who come forward to learn weaving techniques, an institute will be established with stipend facility in Dharmavaram. On coming to power, the JS shall take the responsibility of supplying looms free of cost,” the JS chief assured. A system of quality education would be established. From the school level itself, unity amongst different castes should be secured. A system with common hostels would be brought out. “Remove the suffixes of Naidu and Reddy from your names, so as to remove the caste system. Caste is not the name of the body, but a hereditary one. From childhood itself a spirit of all-are-equal should prevail. Under the guise of GST, they are administering a death blow to the weaving industry. Hundreds of crores of rupees of tax exemptions are given to cricketers like Sachin Tendulkar, but taxes are imposed on weavers who weave clothes for us to wear,” he observed. Mr Kalyan distributed cheques of `2 lakh each to family members of party workers who were killed in a road mishap in Kurnool district.